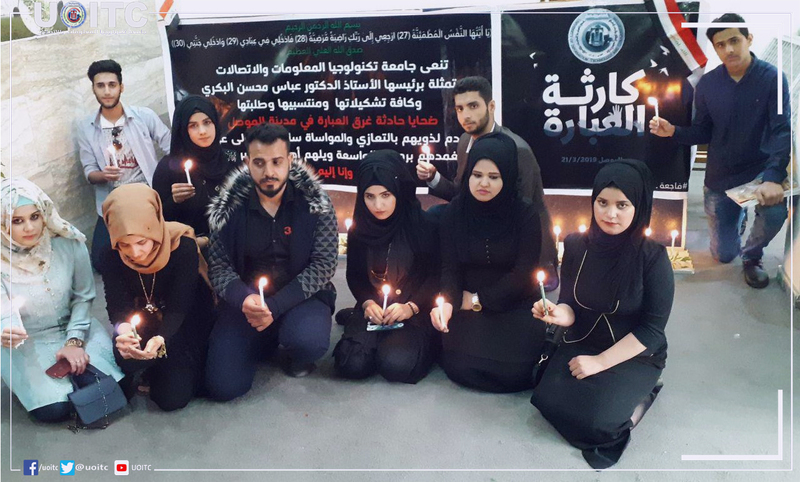 The University organizes a solidarity Stand and candles to honor the lives of the victims of Mosul. 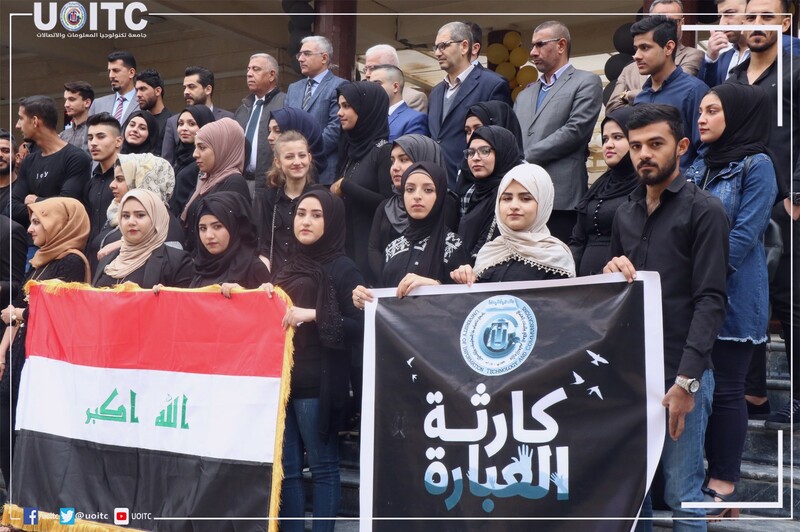 The Presidency of the UoITC organized a solidarity stand with the victims of the ferry incident in Mosul. 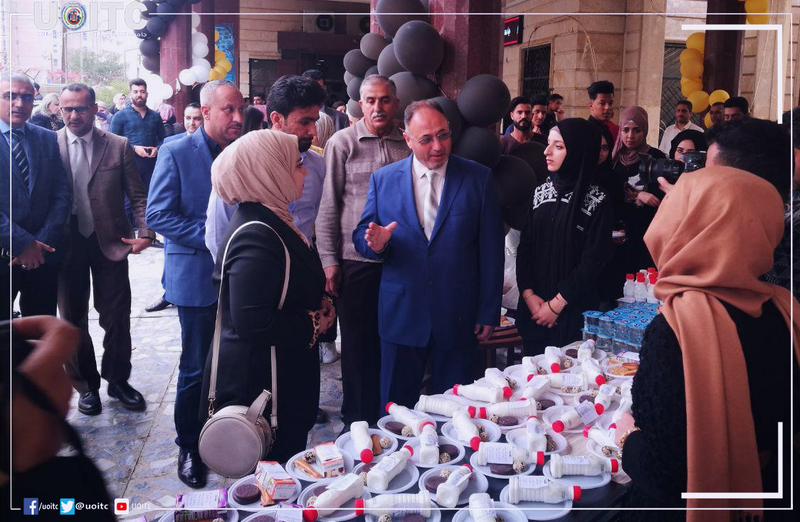 The stand included reciting Surah Al-Fatiha and lighting candles by the University President Prof. Dr. Abbas M. Al-Bakry and his deputies, professors, employees and university students to honor the victims of the ferry in the tourist city of Mosul and the lives of all martyrs in Iraq. The university president said that "this stop is an expression of the educational family's standing in the university with the families of the victims, stressing the need to hold the losers accountable for the negligence that led to this painful incident in the province of Nineveh. 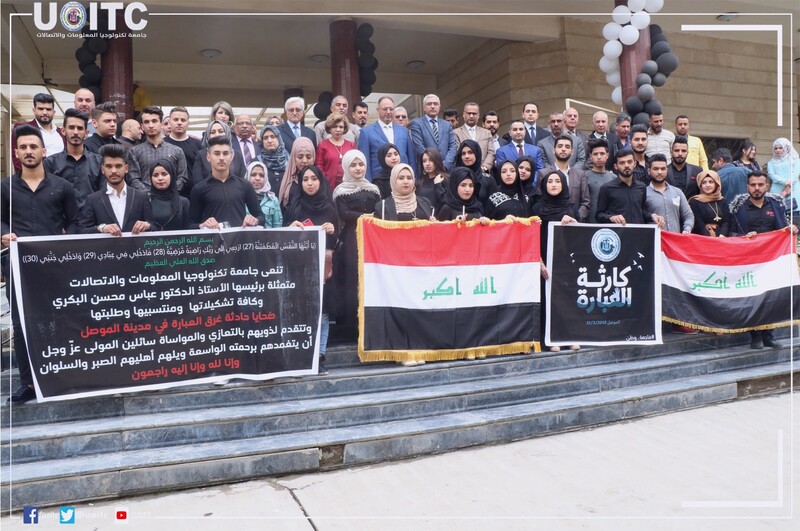 Taking into account the circumstances in Mosul, the president of the university postponed the university graduation ceremony in solidarity with the families of the victims of the ferry.